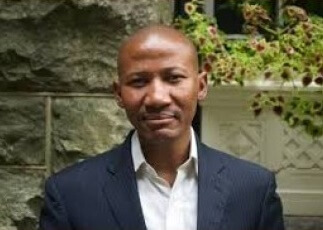 The University of Pretoria’s Professor Dire Tladi, a lecturer in the Department of Public Law and a fellow at the Institute for Comparative and International Law in Africa, has been awarded the prestigious Fulbright Research Grant, and is currently a Global Visiting Professor in Law at the University of California, Irvine. During this period he will finalise his fourth report on jus cogens (Latin for “compelling law”, referring to those rules of international law from which no derogation is permitted). In addition, he will prepare the Commentary for the International Law Commission’s Draft Conclusions on Peremptory Norms of General International Law, which will likely influence the jurisprudence of international and national courts. Prof. Tladi, together with two other academics in the Faculty of Law – Professors Ann Skelton and Christof Heyns – serve as international experts on key UN bodies in Geneva, responsible for the development and application of international law. His main academic specialisations are in public international law, international environmental law, and international criminal law. He is a member of the UN International Law Commission (ILC), responsible for the codification of international law. He is also an Associate Member of the Institut de Droit International. The ILC holds the mandate in the UN for the codification and progressive development of international law. Many important treaties of international law, including the Vienna Convention on Diplomatic Relations and the Rome Statute of the International Criminal Court, arose from texts prepared by the ILC. Recently the main issues under debate in the ILC concern the rules relating to immunities of state officials from foreign criminal jurisdiction; crimes against humanity; and peremptory norms (jus cogens) of general international law. The latter topic is of particular importance to Prof. Tladi, as it is a topic that he proposed, and for which he serves as the special rapporteur. Norms of jus cogens are the most fundamental and important rules of international law, such as the prohibition on the use of force, the prohibition of genocide, the prohibition of Apartheid and others of similar importance. The topic concerns the methodology used to identify norms of jus cogens issues and to describe their important consequences. The university’s best wishes accompany Prof. Tladi. Prof, we look forward to welcoming you back to UP in October 2019!